You’ll soon be able to sport weapon skins and charms in Rainbow Six that show off your dedication to your favorite pro team, Ubisoft announced today at the Six Majors in Paris. 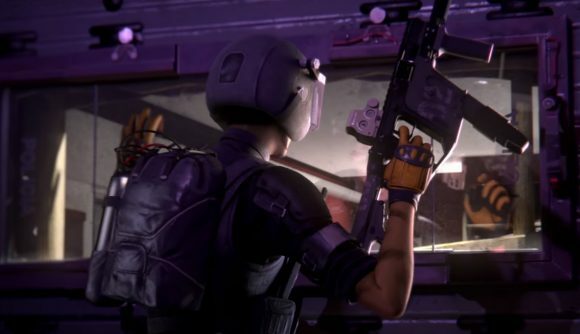 Each pro Siege team will have a custom weapon skin and charm, with the first rolling out with the release of Operation Grim Sky, which will likely launch sometime early next month. Ubisoft says revenues raised from purchasing the skins will be shared with the teams themselves, so fans can support their favorite organizations by buying the in-game cosmetics. The split: 21% of sales goes to the esports organization, and 9% goes to the pro league invitational prize pool. It’s important to note that the weapon skins are specific to one particular weapon and one specific operator, while the charms can be attached to any weapon in the game. Redditor corpuleant2 compiled images of the weapon skins in a handy imgur gallery, so you can have a look at each team’s livery. We’ve put together everything we know about Operation Grim Sky here. The first wave of team cosmetics will roll out when it launches with the new season, which promises to also bring a completely reworked Hereford map. Also, you can play Rainbow Six Siege for free this weekend, if you’re interested in seeing what the fuss is all about.